Live RSBN coverage begins at 4:00 pm EST. President Trump is scheduled to speak beginning at 9:00 pm EST. This entry was posted in Illegal Immigration, Politics, Rally, Refugees & Aliens. Bookmark the permalink. Media are reporting that Trump’s ‘Build the Wall’ message is not welcome along the border. Geez, I wonder why? Could it be that the people they are asking don’t have to presiona uno para Espanol? Media probably bought a voter registration list and is calling only the fascist Dems. If they did they used someone else’s money. Those are just the latest, it goes way back. MSM rarely touches on the issue and the little scuffles between the groups are rarely reported , along with causation, outside of the local media. Ted Cruz is tearing it up! Trust, but verify! As long as Cruz is supporting the President, I will feel kindly towards him. It will be hard for me to ever trust Cruz again. You don’t have to trust him, (I don’t ) I’m just happy that President Trump is able to use him to America’s advantage. I’m thinking more in the future, but I also don’t trust him to not stab President Trump in the back. They’re all rats imho. Did you see the great compromise the rats on both sides came up with? A little over $1.3 billion for a barrier. President Trump needs all of the allies he can get. Even if Cruz is supporting Trump for solely selfish reasons, it is support. We can’t lose any votes. Romney is the new McCain and he will stab President Trump with every opportunity that comes along. If there is a third party run or a RINO run against President Trump it is to Cruz’s advantage to support POTUS. So I put Cruz on the ally list. Not a trusted ally, but an ally. Romney is an enemy. He will harm President Trump the country be damned. IMO we have to pick our battles very carefully and take the perks of President Trump’s power. Again that doesn’t me I like or trust Cruz, but that said, Cruz does not find Trump so unpalatable that he left the Senate, he didn’t write a letter like Romney, so I’ll take his support warts and all. Remember Cruz refusing to endorse Trump by name at the Republican Convention? That I believe is the real Cruz. Totally self interested. If President Trump can harness that self interest and use it to his advantage then “Amen”. I almost think romney is worse bc he’s been antiTrump longer, and he wants to be POTUS still. I agree 100% Gil. Romney is the enemy of President Trump, that makes him an enemy of America. A stone of a man. Romney is horrible and there are many more including McConnell who are worse than Cruz and I pretend to be fine with him when he’s playing nice, but I still wonder when/if he will strike. 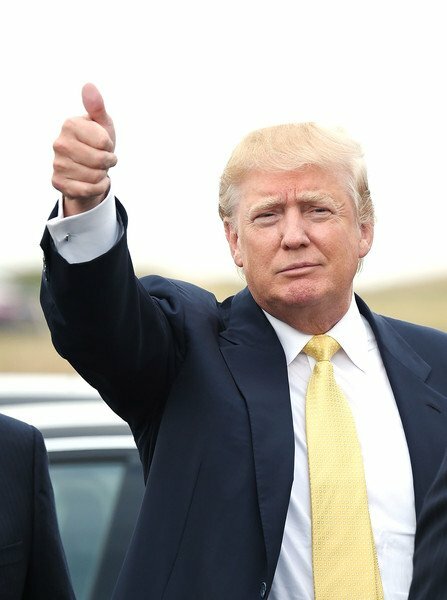 Somebody somewhere mentioned how the presidency rapidly ages men but President Trump is the exception that he looks better than when he took office and is thriving on the fight. I agree with this assessment. It makes me wonder with the other fellas if it is not so much the duties and weight of being president that ages them but rather their absolute moral corruptness and fear of being found out that puts 10 -15 years on their face in a mere 4 years. This POTUS is doing good stuff, so id say definitely all the corruption started eating them from within. I agree. Imagine living with the fear of being discoed that these people live with. They can’t sleep well. “What if” has to poke them awake all night long. Just look at scowling Hillary’s face. “They get punished when they get home” __President Trump speaking about protestors at his rally. Listening to President Trump speaking about the reality of Northam’s words and picturing Scott Adams losing his mind. I am over Scott, for all his insight into the human psyche he is so married to fondness of being “Left of Bernie” he doesn’t realize how tainted his own filters have become. Totally agree re: Adams. Adams is great at manipulating people…or so Adams likes to think, and Adams is not the only one. Adams only got me once. Just another of the same old same old. Agree. He is getting big for even his britches and bristling at people not following his pendulum. Oh well Scott. It’s also creepy that Kristina is 30 years younger than him and Scott in his arrogance at least publicly pretends that’s wealth is not what attracts a beautiful young woman to him. Please Scott. He says neither one of them like to talk much so it is a great relationship 😏. Personally I believe that this is directly solely at the heart of Ocasio-Cortez and the Justice Democrats movement. Strongest call of action that our President has made. Ingraham is doing the after-rally interview this time. Which always brings to mind Megan Kelly. Fox has had so many exclusive interviews with all Trump staff and the President. Reuters complained last week at the State Dept press briefing about Fox access. Another Fox personality has been hired at State just last week, Lea Gabriel, and Heather Nauert is United Nations rep.